The birth process of a company is very similar to that of a baby. For example, after babies are born, various types of information are needed to establish the baby’s identity. One of them is the home address of the baby. When a legal person is “born” (that is, when a company is established), it also needs it’s “home address”, and this address is called a “company registration address”. If you do not have a registered address, your company will be difficult to produce. So when creating a company, you must have a registered address. What do you need to pay attention to regarding the company's registered address? China’s law clearly stipulates that there can be only one corporate address. Therefore, in the case of multiple offices, one of them should be established as the main office according to the nature of the business handled by each office. And, the main office should be used as the registered address. B. There are different rules for different cities for which type of buildings can be used as the registered address of the company. 1. The rule in most cities is that only property with the words “commercial”, “office building”, “integrated” and “shopping exhibition” written on the real estate license will be allowed to register as the company’s address. Most of the time residential houses cannot be used as the registered address of the company(e.g.Beijing). 2. Some urban residential houses can be used to register any industry company(such as some western cities). 3. Some urban residential areas can only be used as registered and designated industry companies. 4. Coastal developed cities such as Shenzhen and Guangzhou are allowed to use residential areas as the registered address of the company, but they need the consent of the property or local residents' committees or even neighbors. 5, Tianjin and other cities using residential houses on the bottom floor of the housing for commercial purposes can also apply for a company registered address, but the industry will be limited. Companies involved in catering, entertainment, Internet cafes, etc. are not allowed. In fact, it depends mainly on the specific conditions of the city in which your company is located. The more entrepreneurship is encouraged, the more relaxed the conditions for a company to establish a business in the company's registered address will be. C. Both suburban industrial parks and urban incubators may serve as places for registered companies. Some cities want to encourage entrepreneurship, but the release of residential houses as a registered address brings other problems. Therefore, another scheme is adopted. Some economic zones and development zones are approved around the urban areas, such as the Chongming Economic Zone in Shanghai. , Baoshan Economic Park, etc., and entrepreneurs can apply to the park to start a business. Company registration in an industrial park provides a virtual address for companies to register. This address can be used free of charge for a long time. In addition to providing the company's registered address, these development zones can provide more convenient services. Of course, there are also many agencies in the urban areas that provide similar services, that is, incubators and centralized office areas, such as Peking University Science and Technology Park, Joint Venture Office, etc. 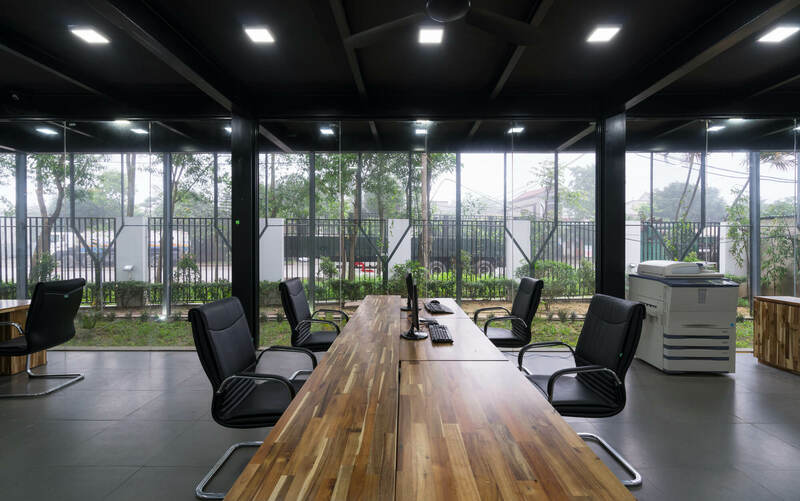 In the incubator or centralized office area, a desk may be used as a company registered address, which greatly increases the amount of limited commercial premises to provide more registered addresses, and also reduces the cost of company registration. After registering with these addresses, companies may work in other locations. 1. In the case of companies entering a park, the park will provide some supporting services for bookkeeping. Urban companies need to book or outsource themselves. Incubators and centralized office areas also have bookkeeping services, but they need to be renewed each year. 2. The taxation in the park area is similar to the urban area in terms of tax returns. 3. Regarding taxation, a few parks can collect taxes, which is very convenient for the company. 4. In terms of tax return, in general, the tax return of the park is higher than that of the urban area. 5. The the case of the company needing to move, the park is more convenient. D. To establish the company's registered address you need to prepare the following documents for the local industrial and commercial bureau. If you rent an office building under a certain company name, you need a photocopy of the real estate certificate, stamped by the company's official seal, a copy of the company's business license, a lease contract signed and sealed by both parties, and a rental invoice. E. The procedures for changing the registered address need to be reported to the industrial and commercial bureau in order to relocate to a new place. 1. Take the relevant documents of the place to be relocated to the Industrial and Commercial Bureau to apply for a change of business license. The Registration Authority of the place to be moved in will issue a Notice of Enterprise Relocation after a preliminary examination has been passed. 2. Hold on to the documents from the Industrial and Commercial Bureau to be transfered. The registration office of the evacuation area will send the registered files to the place of registration by postal mail. 3. The documents will be moved to the Industrial and Commercial Bureau to obtain a new business license. 4. Change the organization code certificate. 5. Change the tax registration certificate. For more information, please contact Business China.